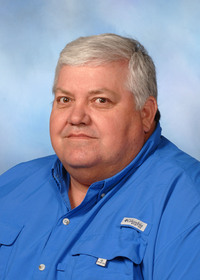 In December 2013, the Mississippi State University Extension Service released the MSUES Cattle Calculator for iOS platforms, which include Apple’s phone and tablet operating systems. A version of the calculator for Android devices is now available. 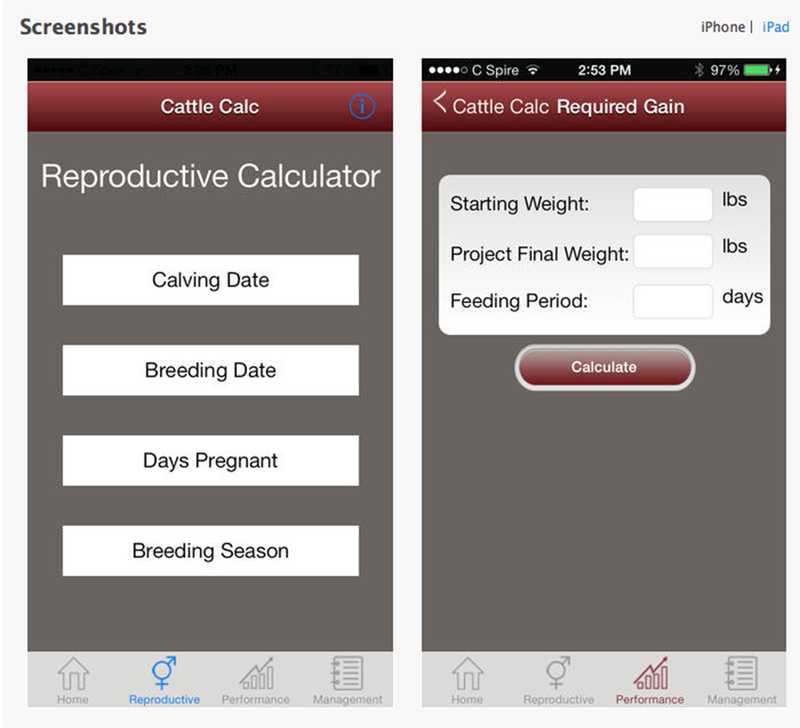 The free app calculates a variety of factors that impact livestock management decisions. 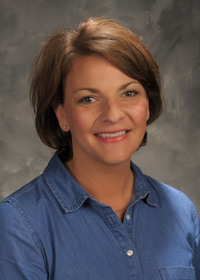 Kelli Alexander of the MSU Extension Center for Technology Outreach developed the app with input from producers, MSU Extension specialists and other faculty members. 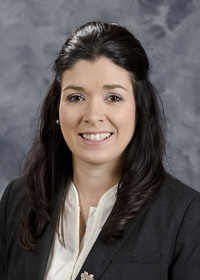 Brandi Karisch, Extension beef specialist and an assistant professor of animal and dairy sciences at MSU, provided technical information to develop the original app at the request of Mississippi beef cattle producers. 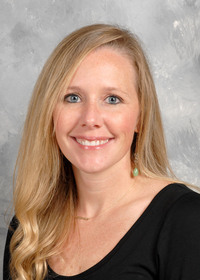 “We wanted to provide an app that would be easy to use and would allow producers to quickly assess issues related to reproduction, animal performance and other management decisions,” Karisch said. Reproduction-related calculations include expected calving dates based on known breeding dates and breeding dates based on a known calving dates. The app can provide the number of days a cow has been pregnant based on the current date and a breeding date. It includes a breeding season calculator that provides calving and breeding dates based on a set breeding season. 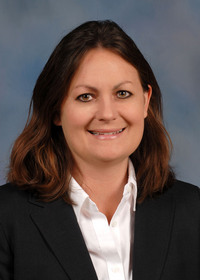 “The calculator will provide insight into growth and overall performance with an adjusted birth weight based on the mother’s age, adjusted weaning weight and adjusted yearling weight; average daily gain; and required gain to reach a certain projected endpoint,” Karisch said. “Management assistance includes dosage calculations for dewormers and other medicines based on an animal’s weight and the manufacturer’s recommended dosage. It also provides frame scores and trailer stocking density,” she said. Search iTunes or Google Play websites for MSUES Cattle Calculator to locate the app for downloading.